Nostalgia is key in the current Hollywood strategy. Of course the studios are eager to get the new generations acquainted with classic fare it might not have bothered to check out on their own accord - if their parents think it's awesome, it can't really be, right? - but at the same time, the existing fan base and its substantial financial potential are not to be ignored. So today's new istallments in major franchises like Terminator, Jurassic Park and Star Wars are drenched in the stuff that generates that good ol' feeling for the older fans. Old actors return, old oneliners are uttered throughout and old locations are revisited. Not to mention old plot lines are blatantly rehashed, as with the disappointing Terminator Genisys. However, the nostalgia of these new films only brings to mind the truly classic installments, ignoring those sequels that didn't either turn a profit or please the fans. Do we want to be remembered of less than stellar fare when we can set our minds on the glory of the true undying classics that preceded them? Maybe not, but it sure as heck doesn't help the consistency in these franchises. They're not remakes, or even reboots. They acknowledge what happened before happened in the same universe, but they refuse to acknowledge all of it, leaving us with major questions. What has become of Isla Sorna? Did Ripley not die, but was it a hypersleep dream? 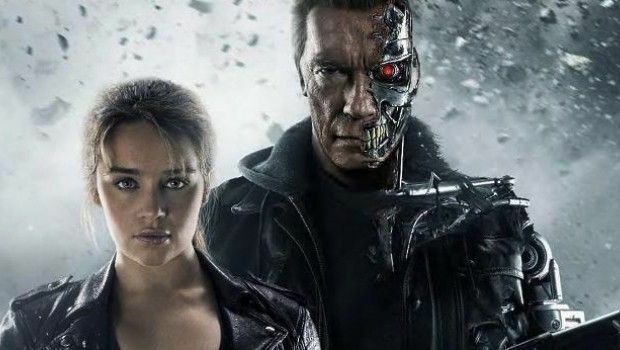 Terminator Genisys uses the Trek way out and states the current story takes place in an alternate time line, which is supposed to be a smooth way to ignore Rise of the Machines and Salvation, but makes for an overly convoluted whole in the Terminator franchise. So that wasn't the smartest move, or the most respectful since there are still plenty of fans - myself included - who actually didn't think so little of Rise of the Machines and Salvation. Basically Hollywood is suggesting to us which films we should remember fondly and which had best be forgotten. But why should the studios dictate what is canon and what isn't? Isn't that up to the fans who embrace these franchises and the stories they tell, taking the good with the bad? The case of the recent 'recanonizing' of the Star Wars universe, to make it work more in Disney's favour, is a poignant example of how a studio is appropriating a franchise for its own gain rather than the fans'. Thirty years of Expanded Universe, mostly written by fans who turned their love for the space saga into a profession, is brisquely declared 'non canon', even though many stories are actually more intelligently crafted and more emotionally compelling than some of the canon entries. Such rewriting of history won't stop the fans from appreciating the good stuff and detesting the bad in the future. They'll make up their own mind on what things they will lovingly look back at.